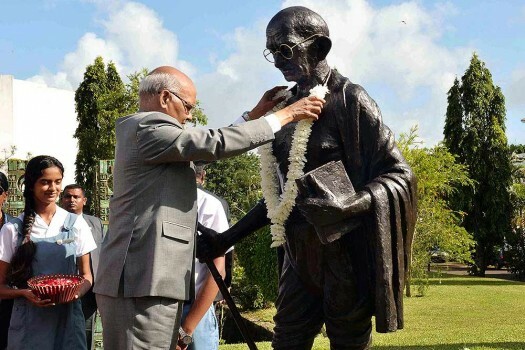 President Ram Nath Kovind pays tribute to Mahatma Gandhi at the Mahatma Gandhi Institute in Moka, Mauritius. 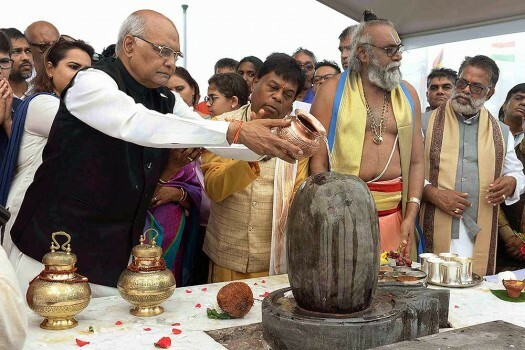 President Ram Nath Kovind offer prayers to Lord Shiva at Sagar Shiv Mandir, at Ganga Talao in Savanne, Mauritius. 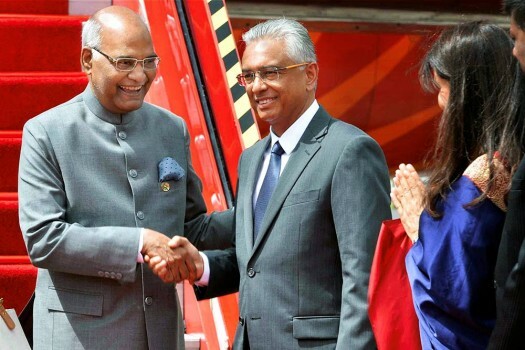 President Ram Nath Kovind being accorded welcome by Mauritian Prime Minister Pravind Kumar Jugnauth and his wife Kobita Jugnauth on their arrival at Port Louis in Mauritius. 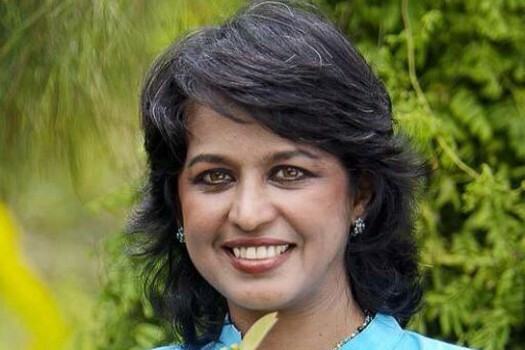 The government of Mauritius designated Ameenah Gurib-Fakim as the Indian Ocean Island nation's new president, making her the first woman to hold the ceremonial position. 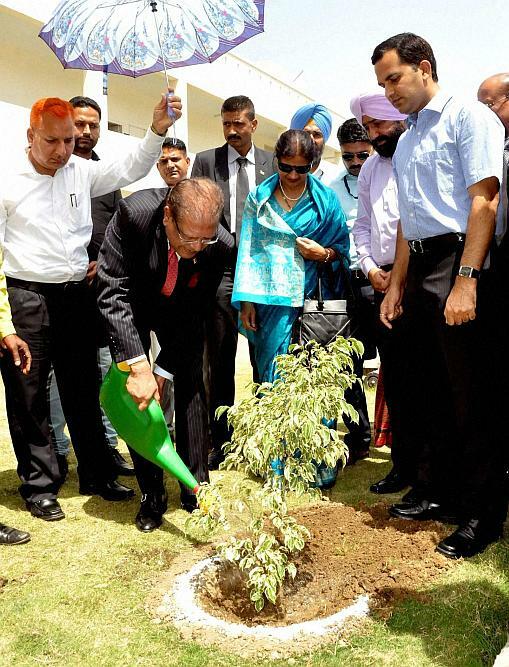 Mauritius President Kailash Purryag plants a sapling at a school in Jalandhar. 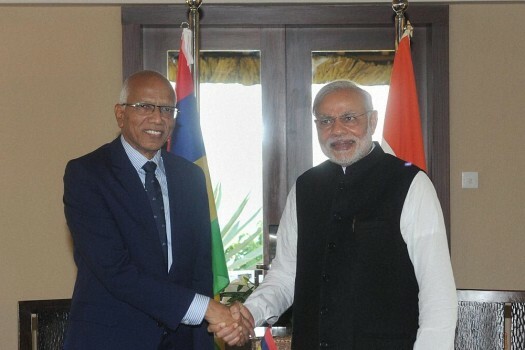 Prime Minister Narendra Modi shakes hands with Chief Justice Kheshoe Parsad Matadeen during a meeting in Port Louis, Mauritius. 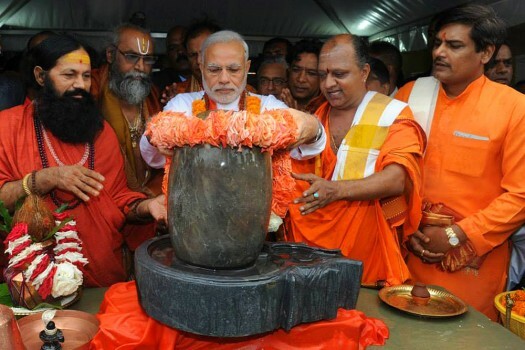 @narendramodi on Facebook: Today I visited Ganga Talao, in Mauritius. 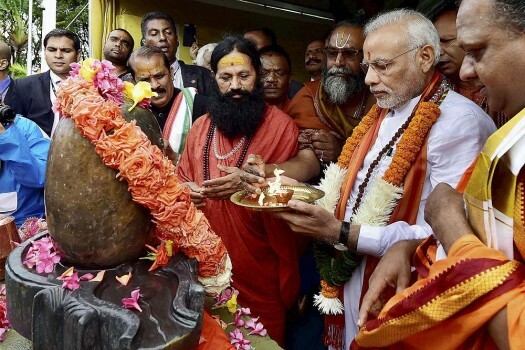 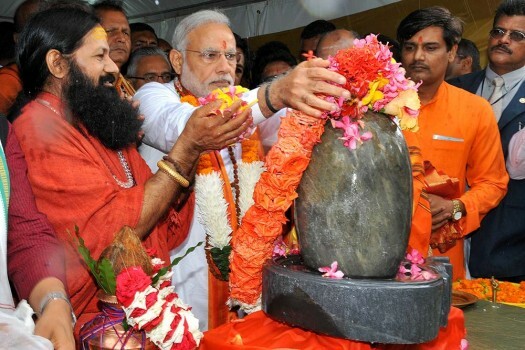 Prime Minister Narendra Modi prays at a temple in Port Louis, Mauritius. 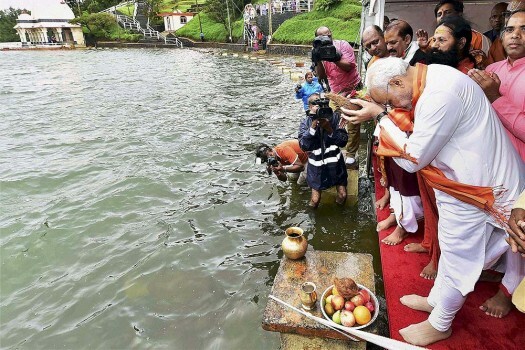 Prime Minister Narendra Modi pours Ganga water into a sacred pond in Port Louis, Mauritius. 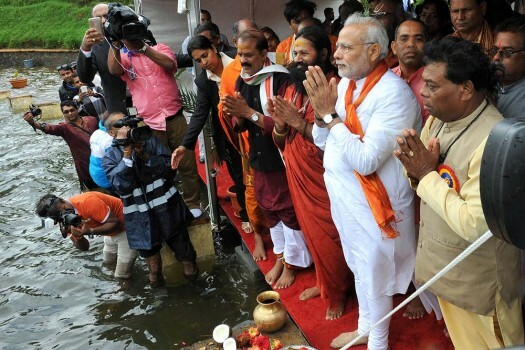 Prime Minister Narendra Modi prays after pouring Ganga water into a sacred pond in Port Louis, Mauritius. 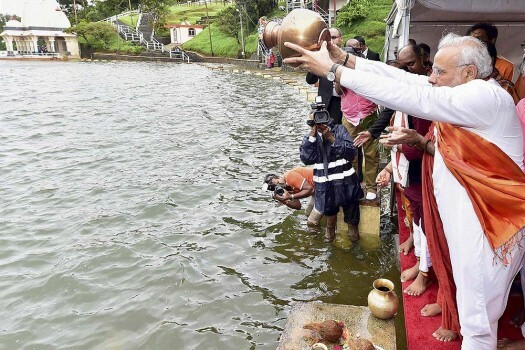 Prime Minister, Narendra Modi at Ganga Talao, in Mauritius. 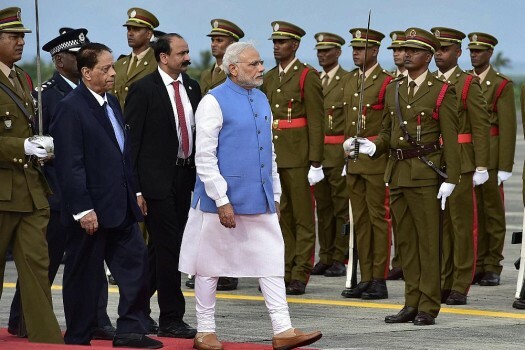 Prime Minister Narendra Modi with his Mauritius counterpart Anerood Jugnauth inspects guard of honor upon his arrival in Port Louis, Mauritius. 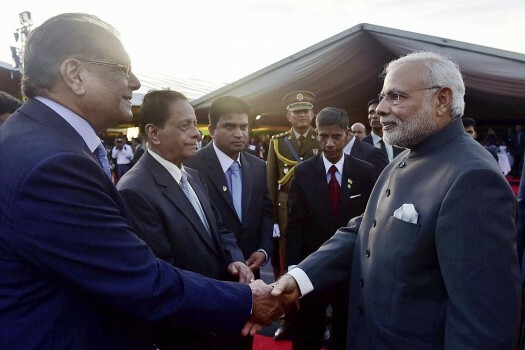 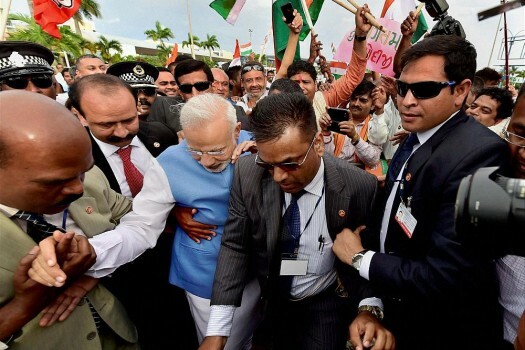 Prime Minister Narendra Modi during his arrival at Sir Seewoosagur Ramgoolam Airport in Port Louis, Mauritius. 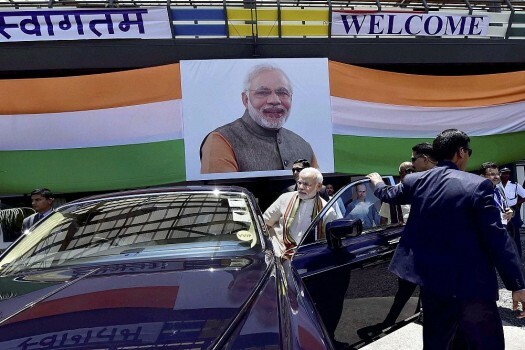 Prime Minister Narendra Modi leaves after the Civic Reception, in Mahe, Seychelles. 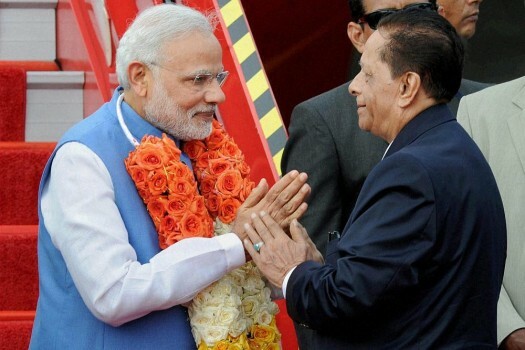 Prime Minister Narendra Modi is welcomed by Mauritius Prime Minister Anerood Jugnauth on his arrival at Sir Seewoosagar Ramgoolam Airport in Mauritius. 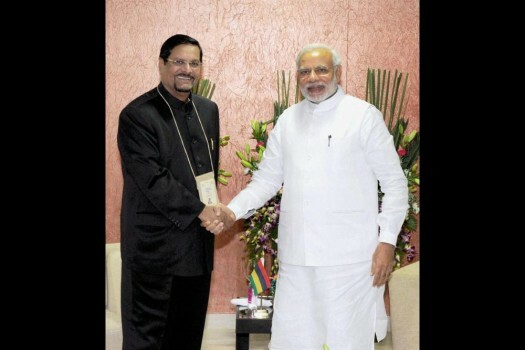 Prime Minister Narendra Modi with Vice Prime Minister of Mauritius, Showkutally Soodhun in Gandhinagar. 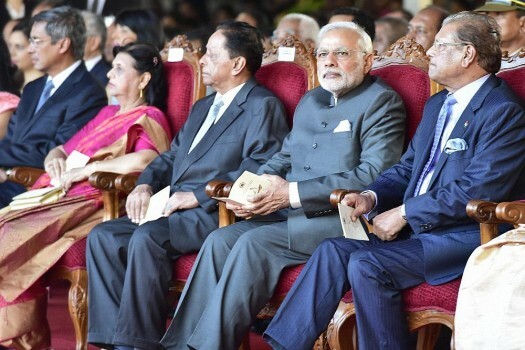 External Affairs Minister, Sushma Swaraj invoked late former prime minister and Bharatiya Janata Party (BJP) stalwart Atal Bihari Vajpayee and recited some of his poems at Mauritius.